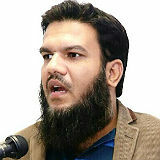 In 2018, the Performance Magazine editorial team interviewed Muhammad Farhan, Head of HR & OD at Dollar Industries Ltd., Pakistan. His thoughts and views on Performance Management are presented in detail below. From my point of view, past performance reviews have lost their importance because of real time performance dashboards and scorecards, whilst objective setting exercises have lost their relevance because of Big Data helping us. Which were the 2017 key trends in Performance Management, from your point of view? Over the 2 to 3 years including 2017, trends have begun to change as companies are replacing their old performance management processes and looking for ways to evaluate job performance faster, more efficiently and more accurately. Performance management software packages, designed to be used in performance management are a reality now. Specifically, software with real time performance evaluation. What are your thoughts on the integration of Performance Management at organizational, departmental and employee level? It is critical for motivating employees and aligning mutual efforts towards the achievement of organizational, departmental and employee goals. However, it is extremely effort oriented and only feasible for smart organizations i.e. technology companies, telecom companies. Traditional organizations need extreme effort and change management to implement this integration. In my observation, alignment between strategic action plans, business action plans and individual performance was often questionable in a few departments e.g. service departments i.e. HR, Facilities Management, Information Technology, Supply Chain, Research & Development, Maintenance. Reinventing Performance Management is one, by integrating Big Data analytics into performance management processes. For both business and employee performance, predictive analysis based on Big Data supports decision making and accurate forecasting for business managers. Reinventing Personnel Effectiveness is another, and this is due to technological disruptions that create lots of distractions for an individual, which affect personnel effectiveness. This is nothing new either, since we know that strong and positive correlations exist between personnel effectiveness and an employee’s on the job performance. Therefore, reinventing personnel effectiveness is critical to using technological disruptions effectively and subsequently, increasing the effectiveness of employees. I would recommend to look at 3M, a global science company that never stops inventing. They always inspire me due to their Innovation Culture and Performance Reinforcement strategies. And just look at the organization’s results: FY 2016 $30 billion sales, EPS $8.16, 7.7% year on year increase. I think this is only because of continuous improvement in their Performance Management Processes, where they connect Strategic Plans, Department Plans, Tactical Plans and Operational Plans seamlessly and achieve results in innovation and R&D, which is a tough one. Which of the existing trends, topics or particular aspects within Performance Managementhave lost their relevance and/or importance, from your point of view? 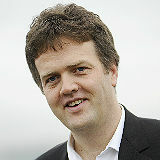 From my point of view, past performance reviews have lost their importance because of real time performance dashboards and scorecards, whilst objective setting exercises have lost their relevance because of Big Data helping us, where objectives can be derived and managed during execution and results are visible through performance dashboards. Performance based TNA is no longer needed because of social learning platforms, where problem solving and training needs are fulfilled extremely fast e.g. WhatsApp groups, Facebook messengers, Mobile Video Messengers etc. 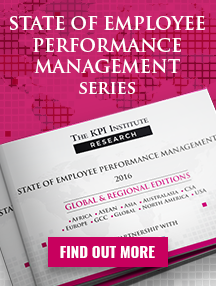 Which are main challenges of Performance Management in practice, today? The main challenge is the way companies look at Performance Management. It is one of the most powerful talent management and development tools. But nowadays, Performance Management is used for measuring lagging performance, for designing reprimand strategies, lay-off strategies, not so much as a change management tool, which makes it more difficult to implement and it creates more anxiety at the workplace. For improvement, first things first, we have to simplify Performance Management processes by using the latest software and a number of new tools that are readily available. 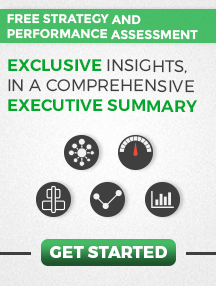 These are quite easy-to-use performance measurement and goal management tools. Furthermore, performance coaching, understanding developmental needs and providing regular feedback are must haves for continuous improvement. Since Social Media and the Internet of Things represents the disruptive future, “Personnel Effectiveness” refreshers should become a must in educational program. It is important to cope with a disruptive environment and change quickly, which is only possible when this is part of performance management education. A lack of strong integration between enterprise performance management, financial performance management and employee performance management knowledge. All parts are important and integration is a must if one is to achieve higher levels of proficiency in performance management. Real time performance management is a simple and engaging tool, and due to this, measuring performance 24/7 is possible. Real time feedback, social learning, 360 feedback is here and represents the future as well. In my opinion, we need to learn it and enjoy it. What personal performance measurement tools do you use (i.e. gadgets that track blood pressure, steps taken, heart rate, burnt calories or tools that help with one’s finances or personal skills)? Well, I use “Samsung health” as fitness application and Excel based KPIs modeling for finance and personal skills development. 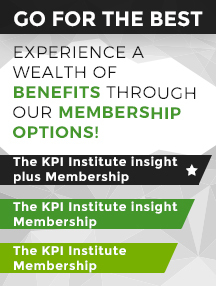 I have been a user of the Balanced Scorecard tool for quite a while, but now I have moved on to KPI-based Scorecards. Practitioner Point of View: Which were the recent achievements in generating value from performance management in your organization? 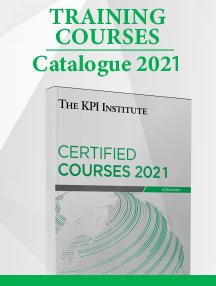 Alignment of Strategic KPIs, Financial KPIs, Functional KPIs and Employee Objectives/KPIs, which has helped us understand the focus area of improvement i.e. cross functional alignment, clear expectation management, creating means and environment, capacity building and proactive planning. Implementing Big Data Dashboards for the Sales, Production and HR departments, which help us see the whole business management picture and highlight areas of improvement, where we can create more value by putting in more effort and resources. In 2018, the Performance Magazine editorial team interviewed Tom McKeown, CEO at TrenData, USA. His thoughts and views on Performance Management are presented in detail below. Human beings in a free market society are always looking to move on or up. In addition to grading individuals on how they are doing in their current job, it’s motivating to let them know what levels they need to hit. In 2018, the Performance Magazine editorial team interviewed Gunnulf Rasmussen, Group Vice President at Corporater, Norway. His thoughts and views on Performance Management are presented in detail below. 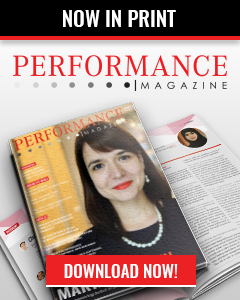 In 2018, the Performance Magazine editorial team interviewed Tor Inge Vasshus, Founder and CEO at Corporater, Norway. His thoughts and views on Performance Management are presented in detail below. Performance management, to me, is everything, in a way. It is my life. It is about identifying where we are, and where we want to go. 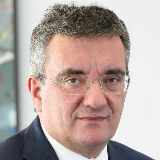 In 2018, the Performance Magazine editorial team interviewed Frank Hajdinjak, CEO at E.ON Romania. His thoughts and views on Performance Management are presented in detail below.